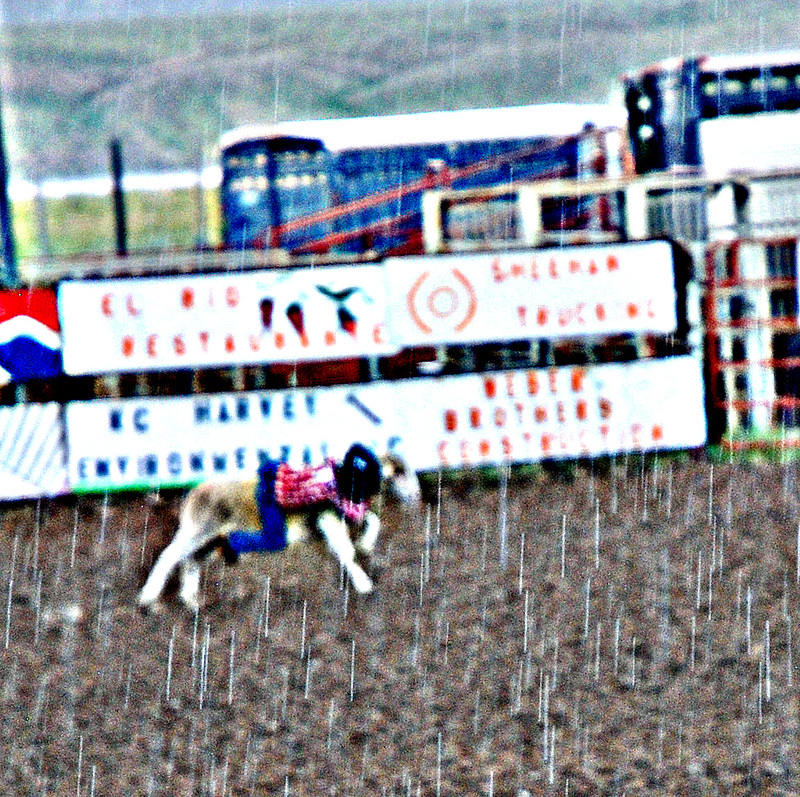 Little Snake River Fun Day, with rain! 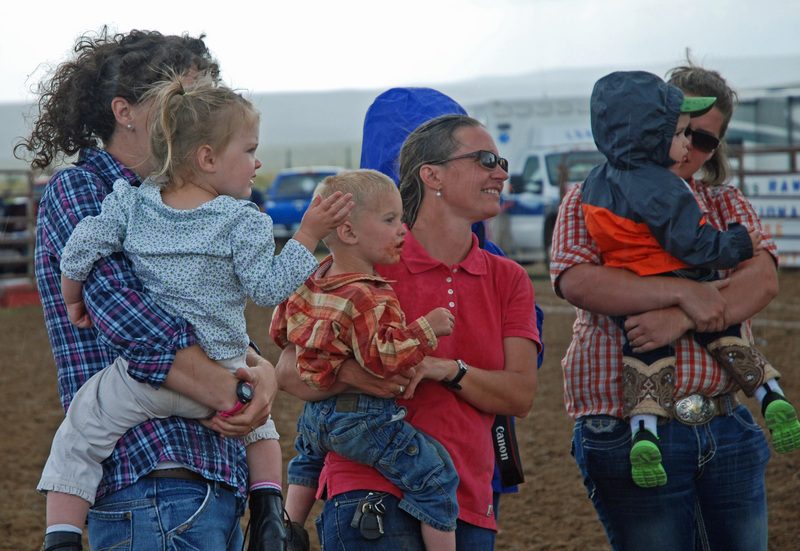 This year, an added feature was rain–the first in many weeks. 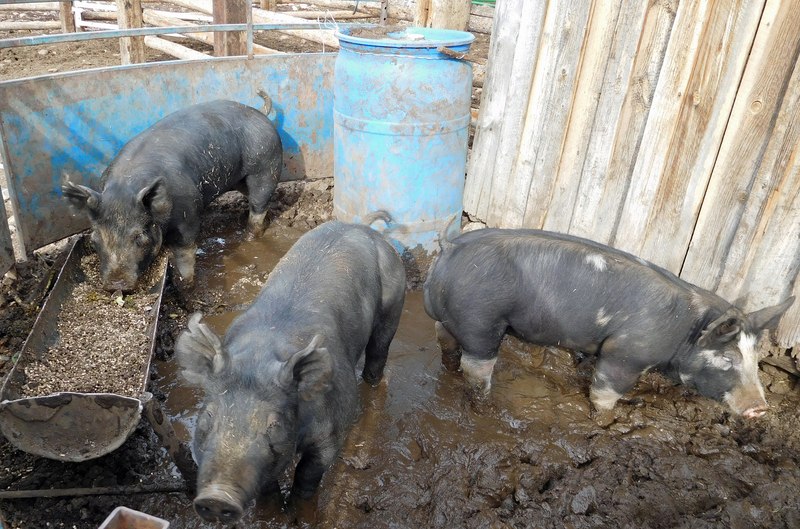 Nobody cared that they were muddy as they chased barrels and pigs. 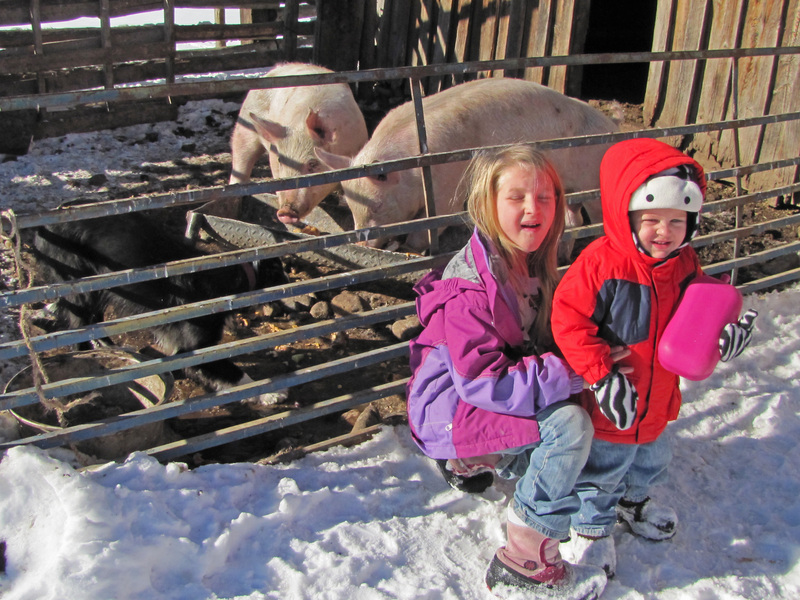 All were really happy to see the moisture. 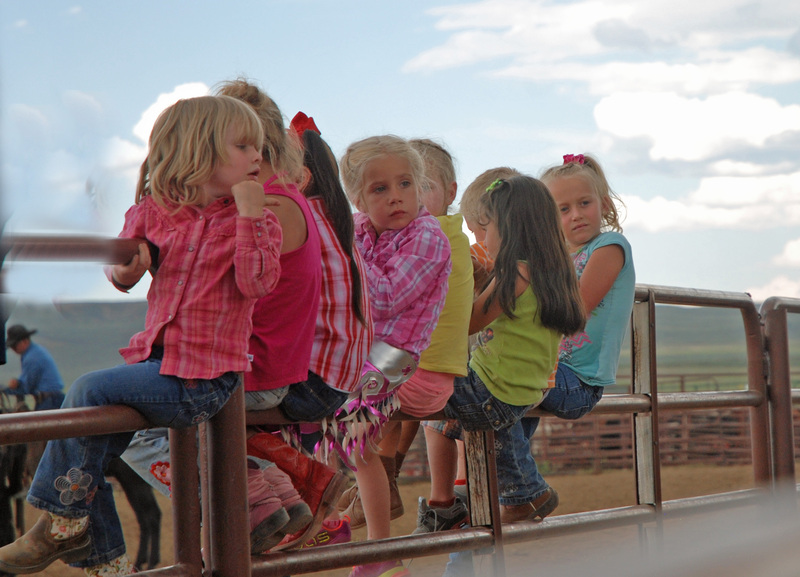 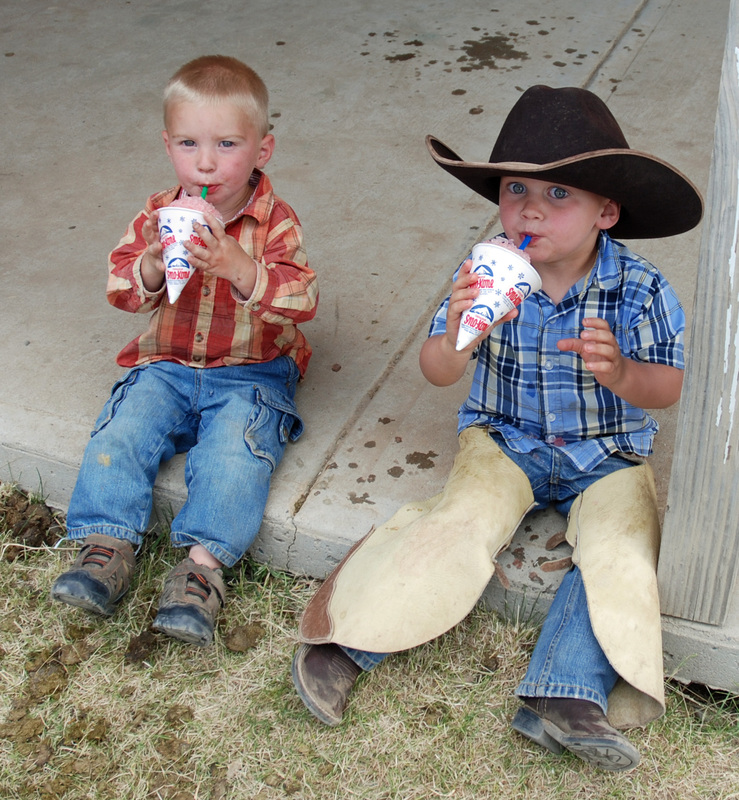 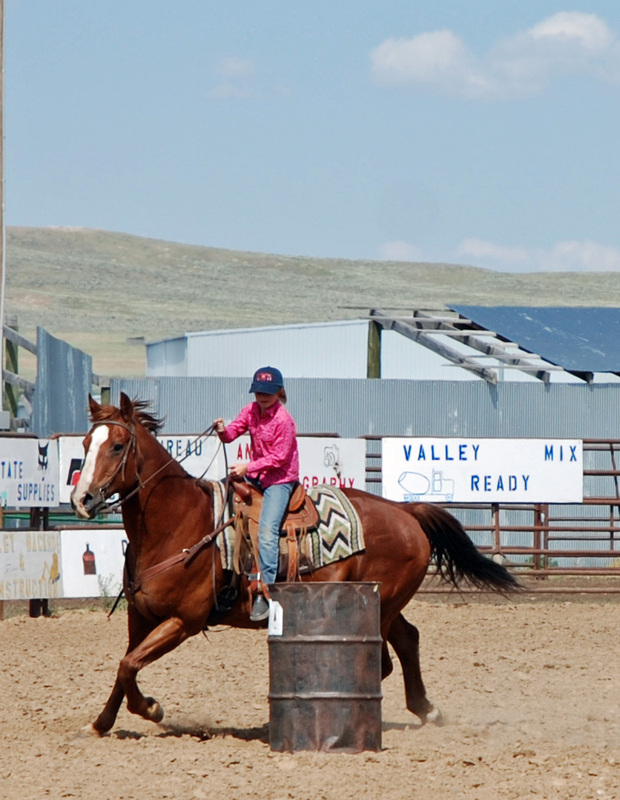 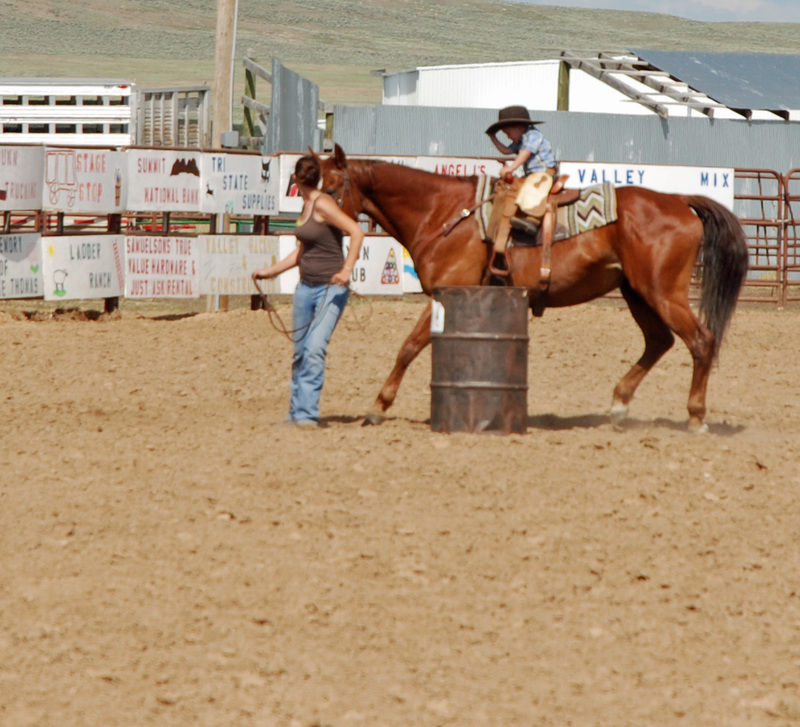 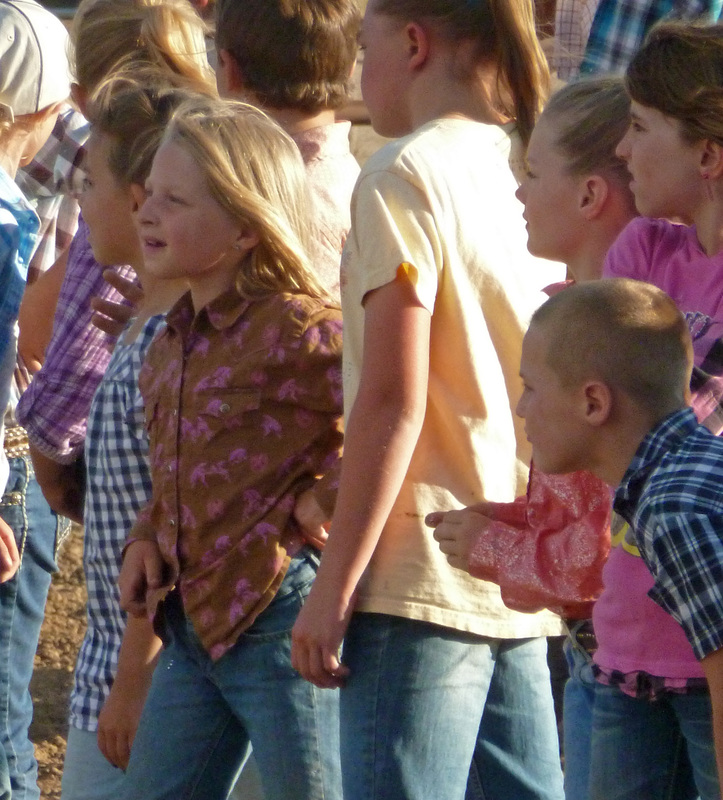 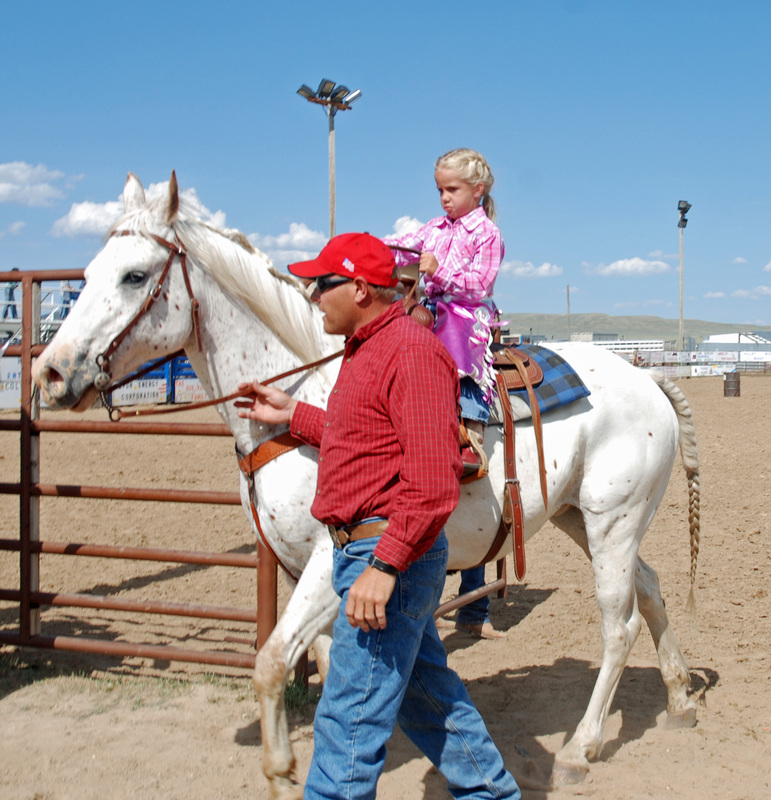 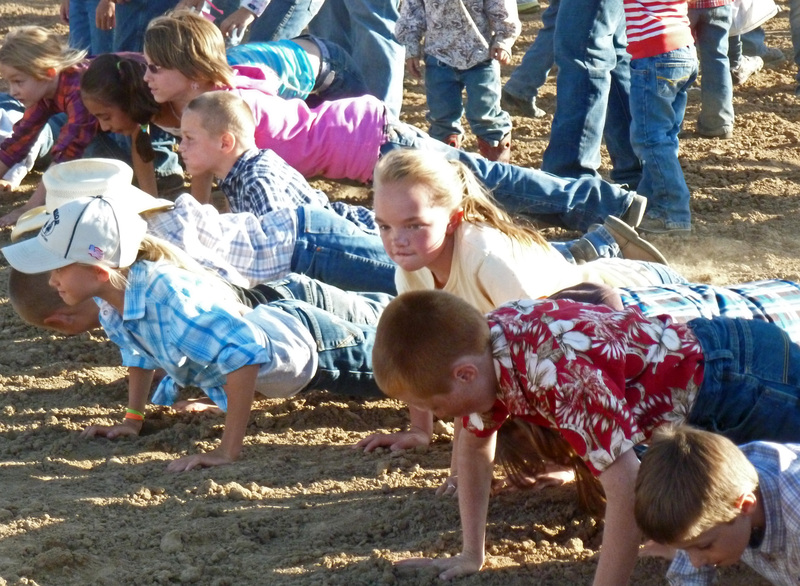 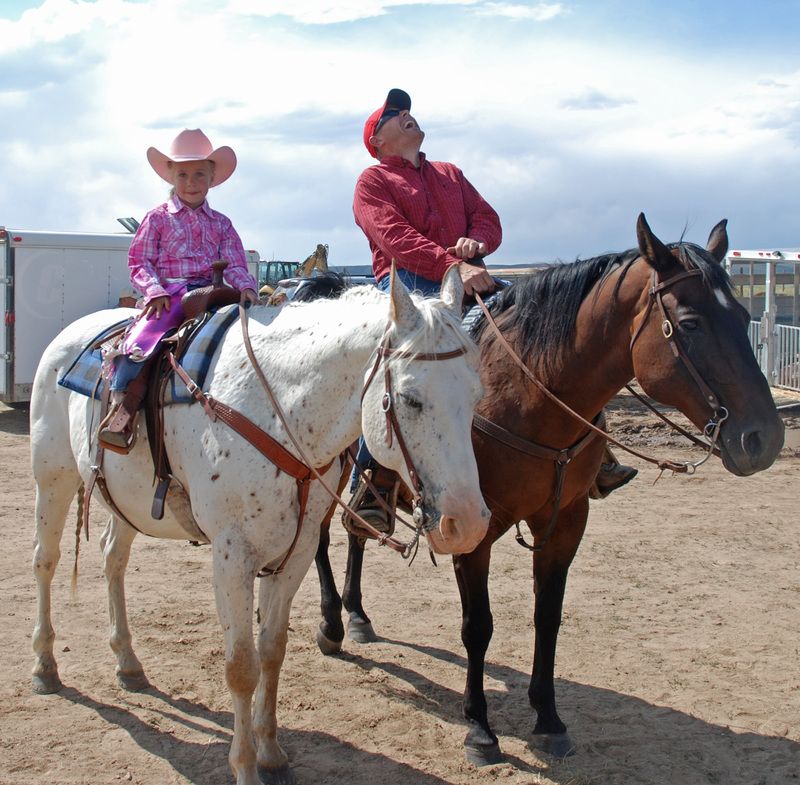 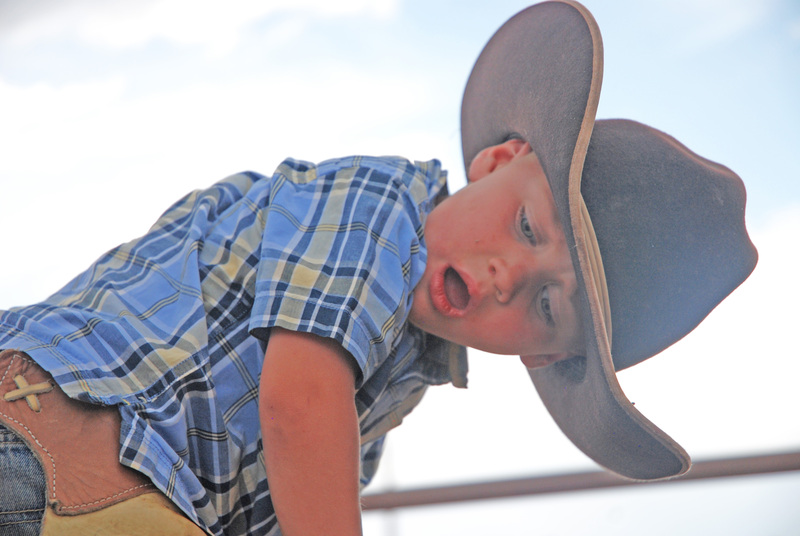 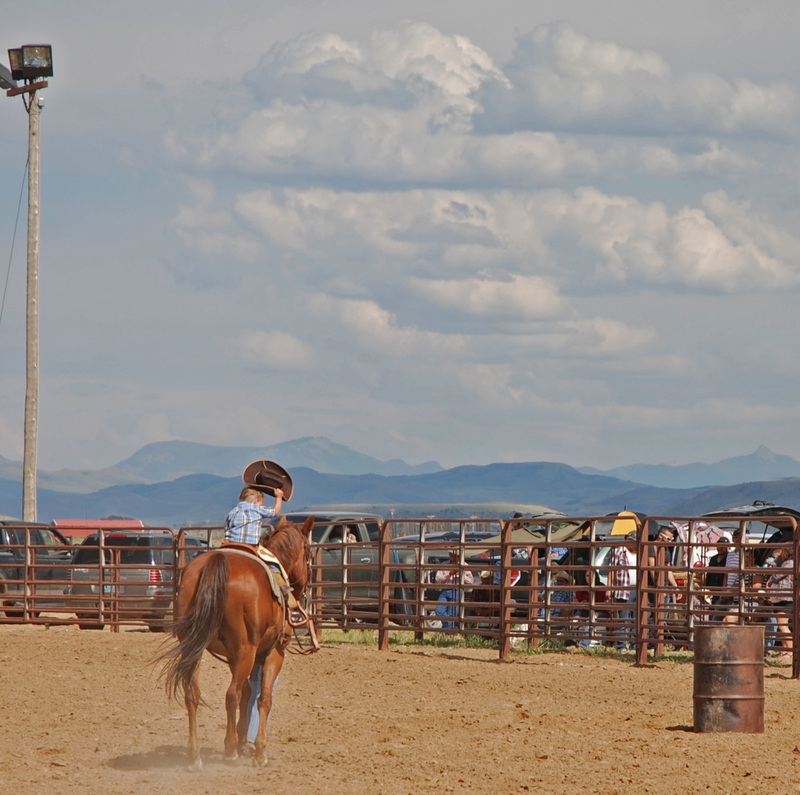 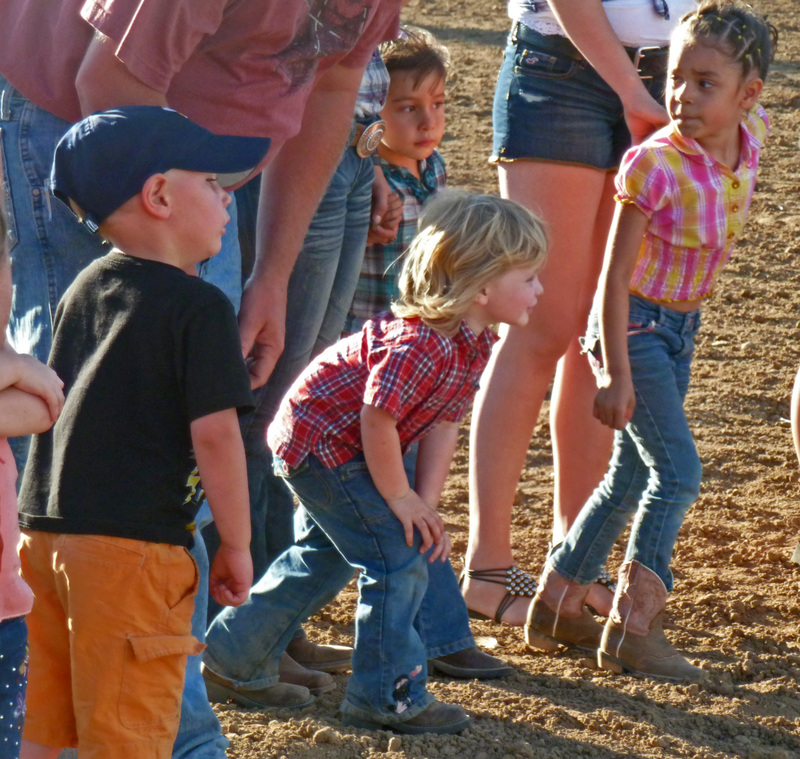 Each year, the Lions Club sponsors the Little Snake River rodeo at the Russell Community Park, near Dixon. 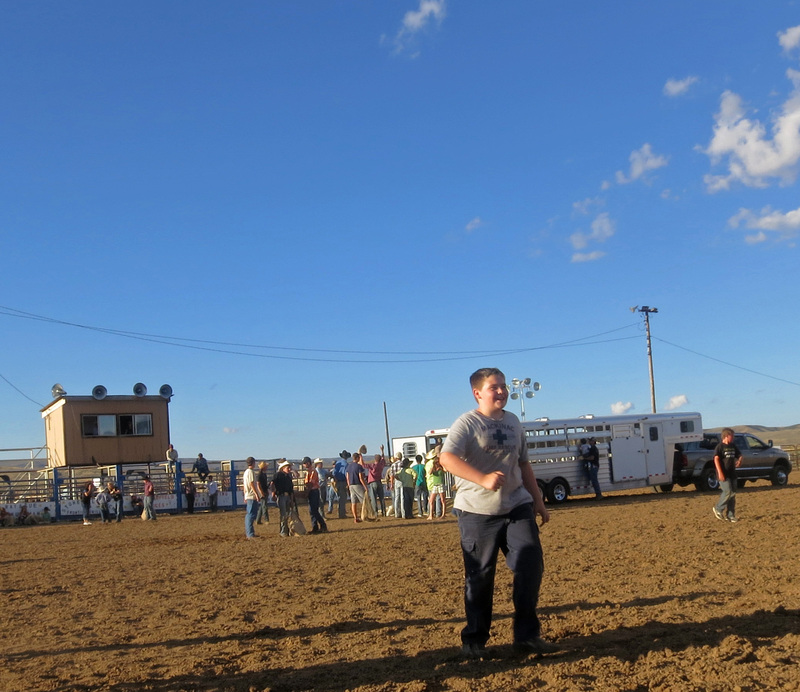 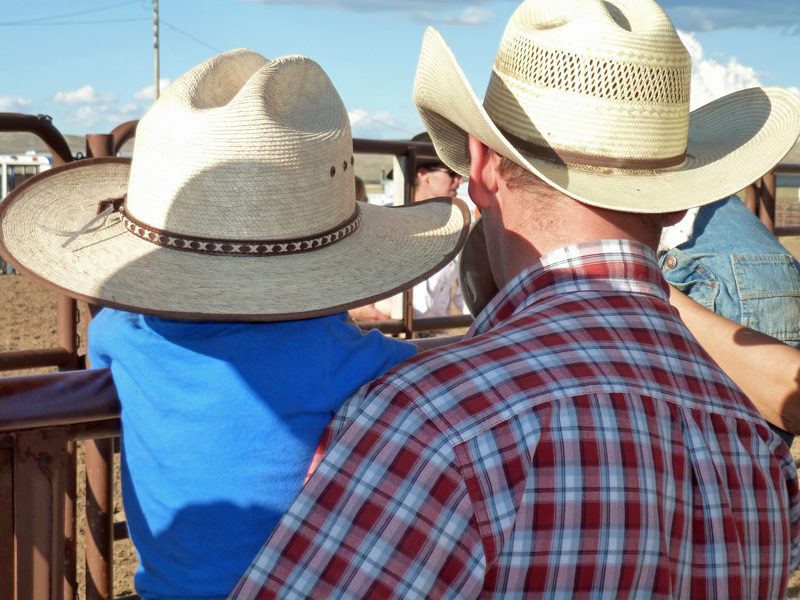 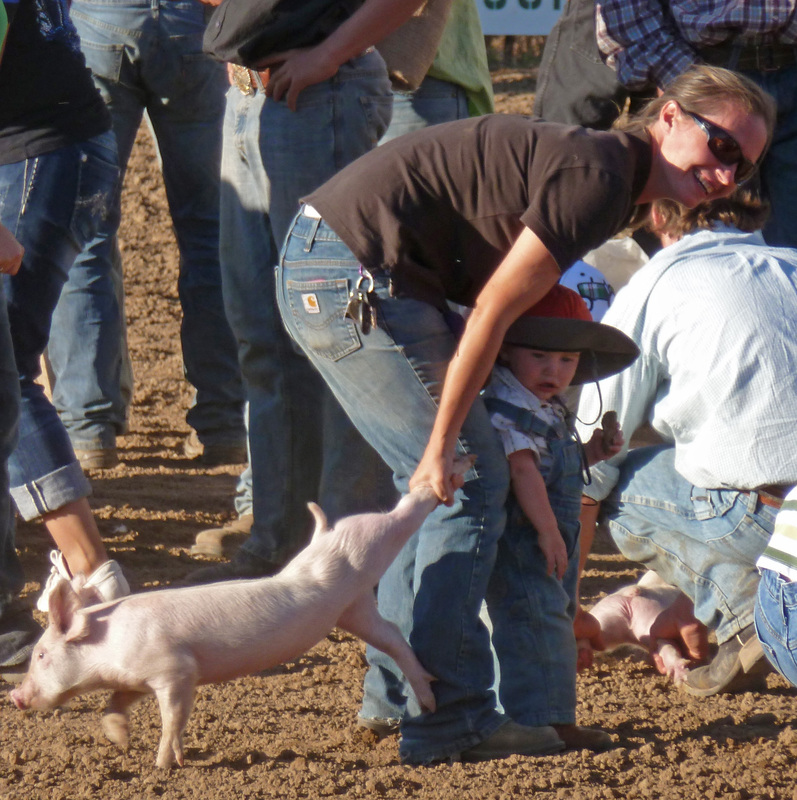 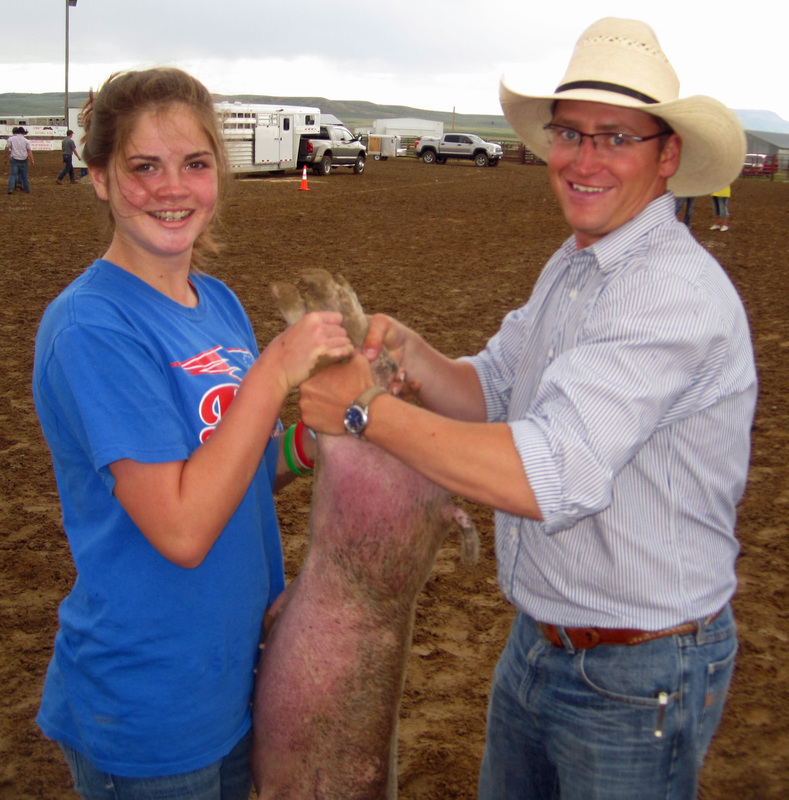 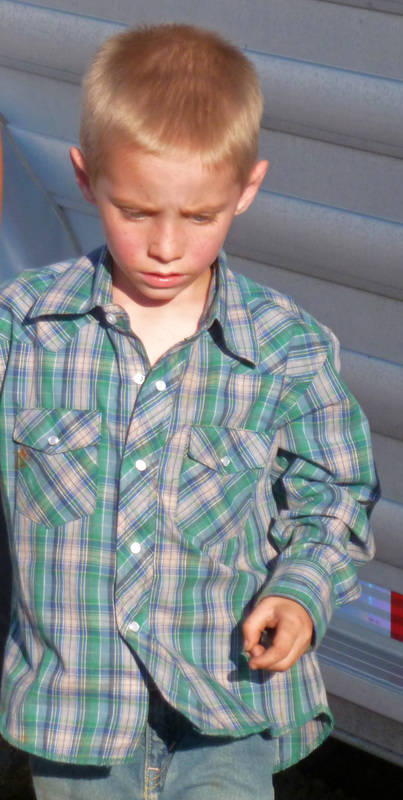 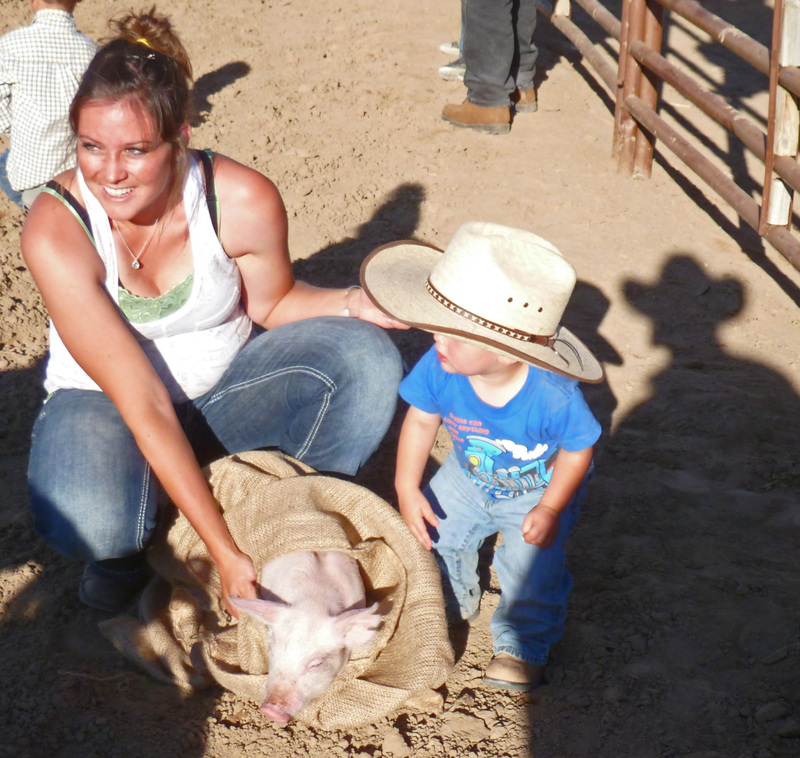 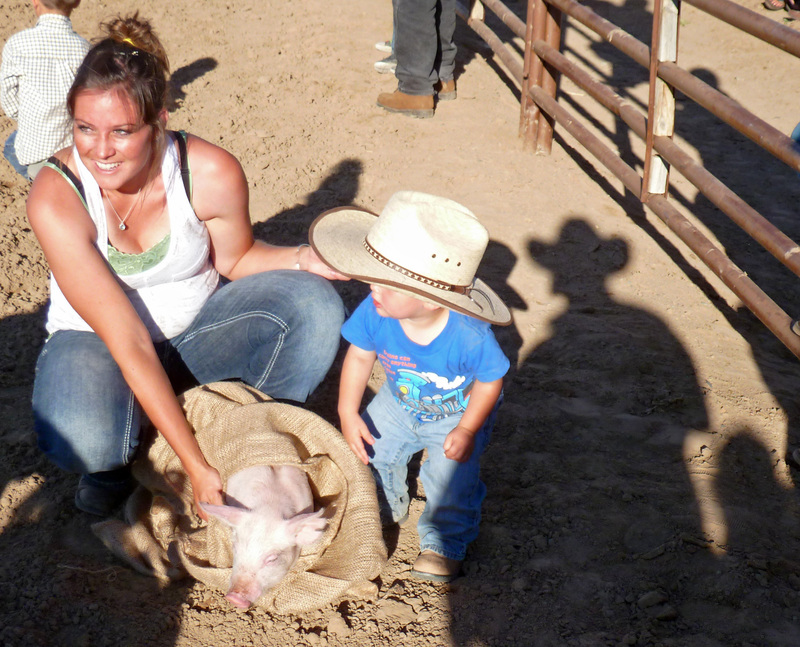 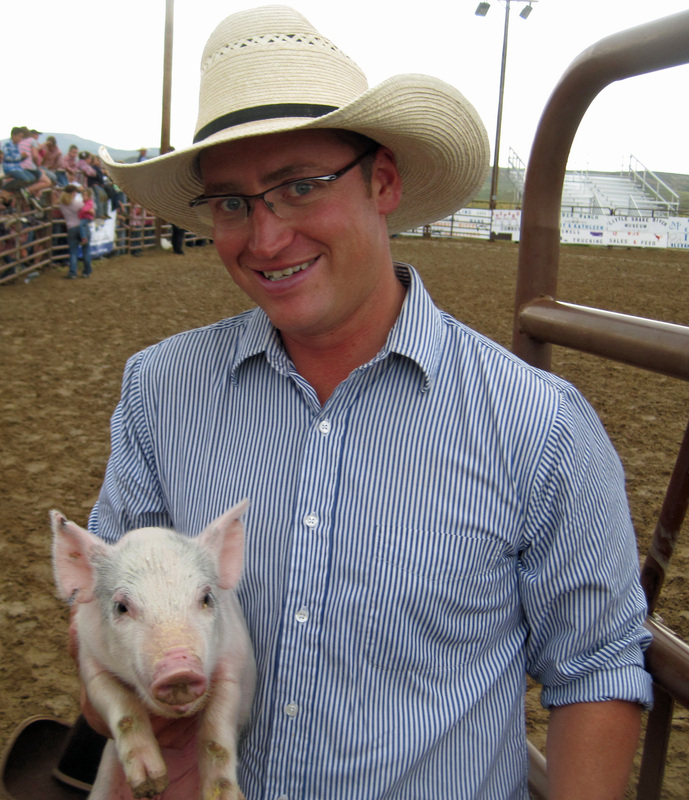 The kids’ events, including mutton busting, chicken chasing and pig catching are a highlight in our family. 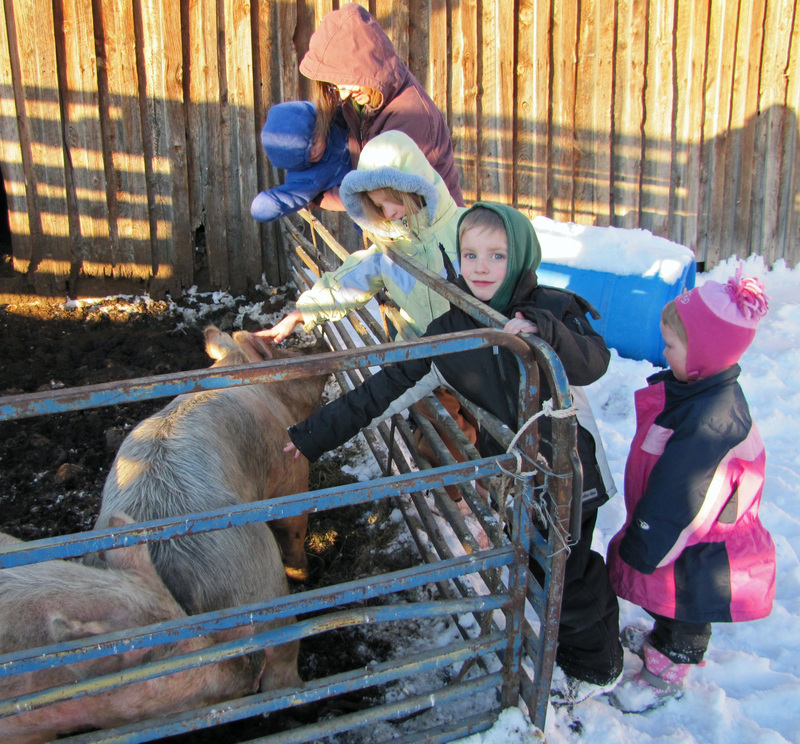 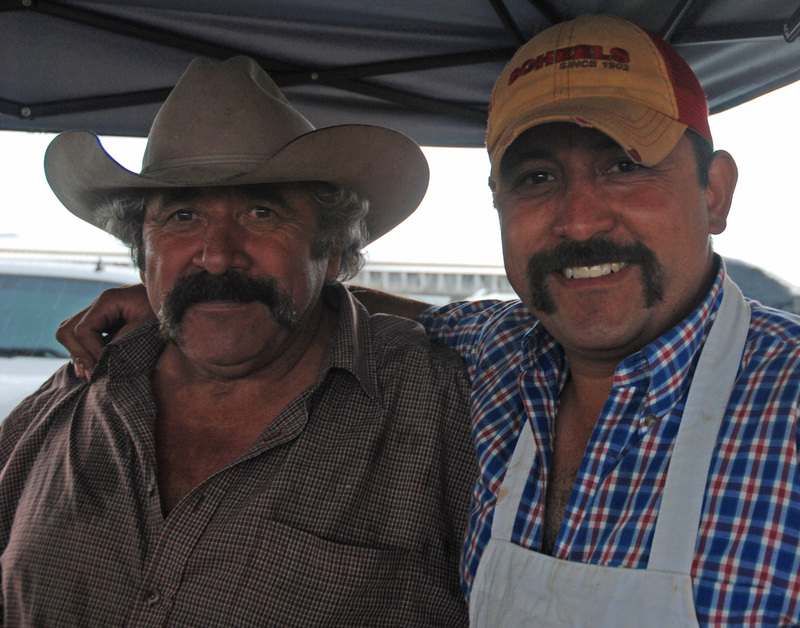 It is also the source of our pork, since we feed out the pigs that the grandkids and their cousins catch, and enjoy the locally grown meat in the winter months. 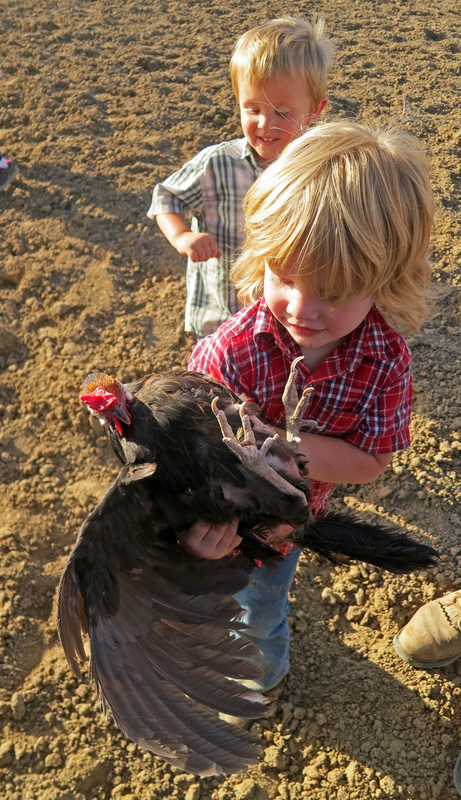 We give the chickens to the neighbor, since our Border collies mistake them for lunch.